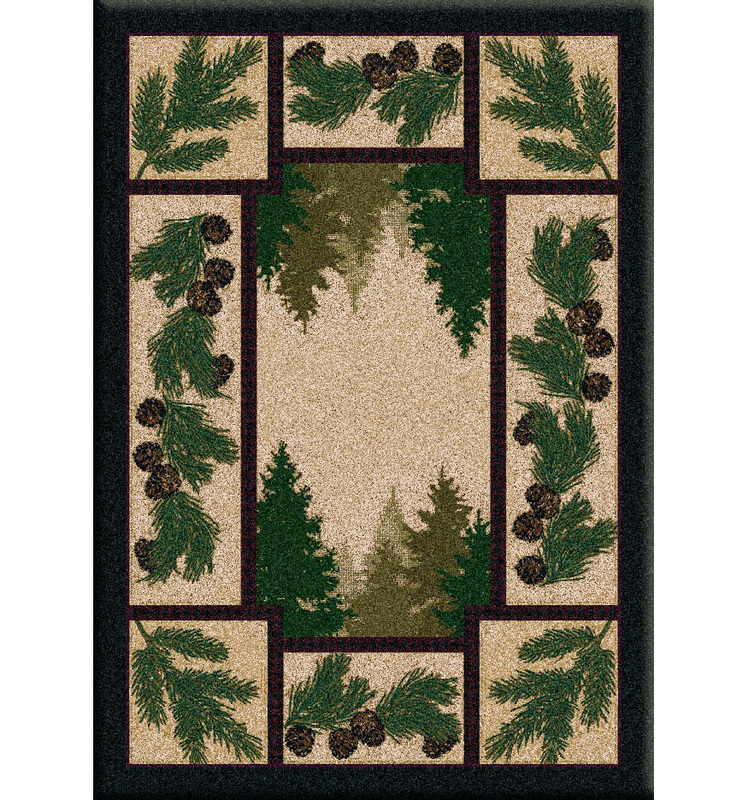 Stately Pine trees adorn this handsome rug. 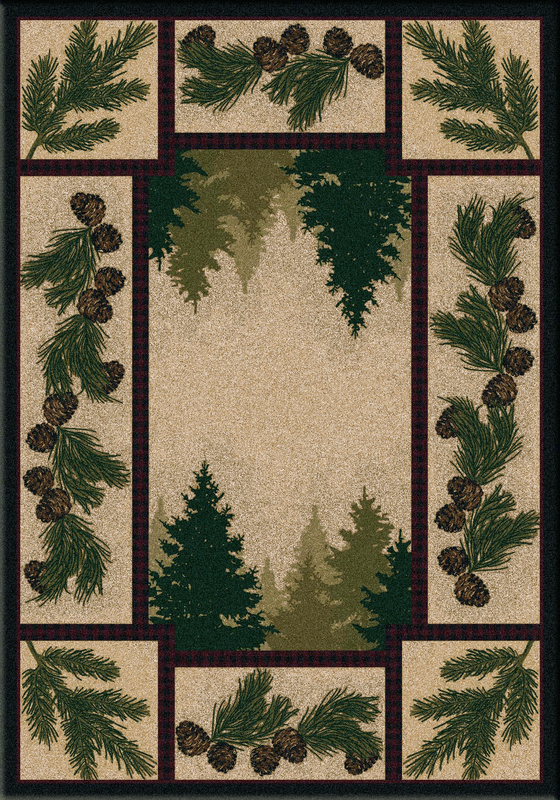 Retreat to the deep woods with this area rug. 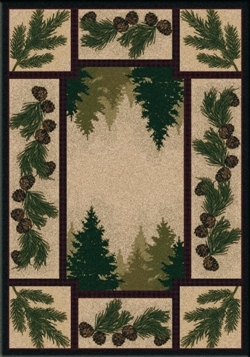 Bordered in pine branches and pine cones this rug will bring that "outdoor" feeling to any room. 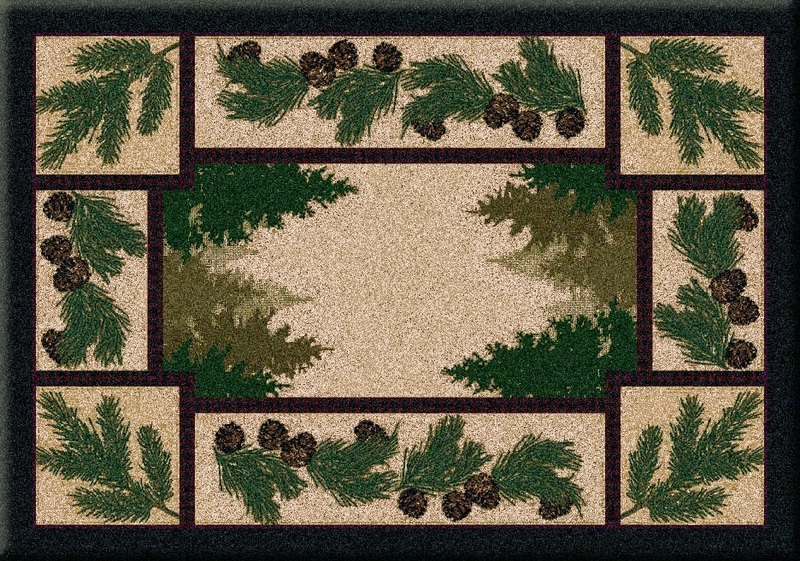 Durable.Available in 6 sizes. 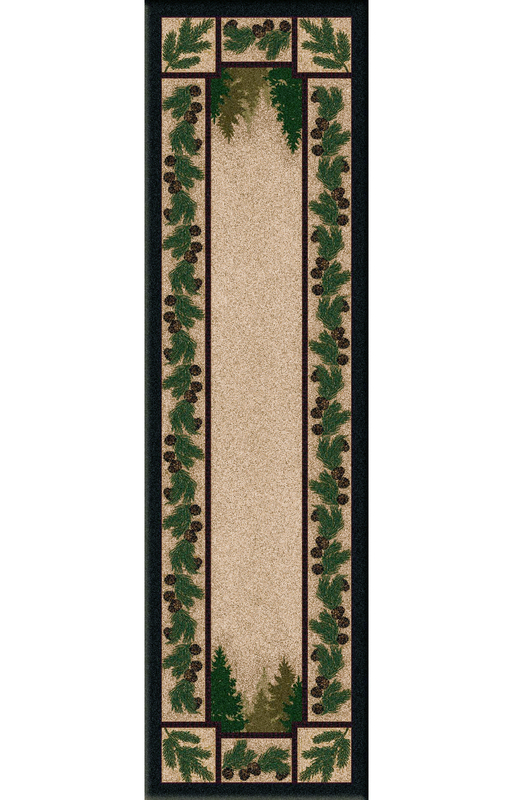 Created from premium Nylon, utilizing EndurStran Construction. 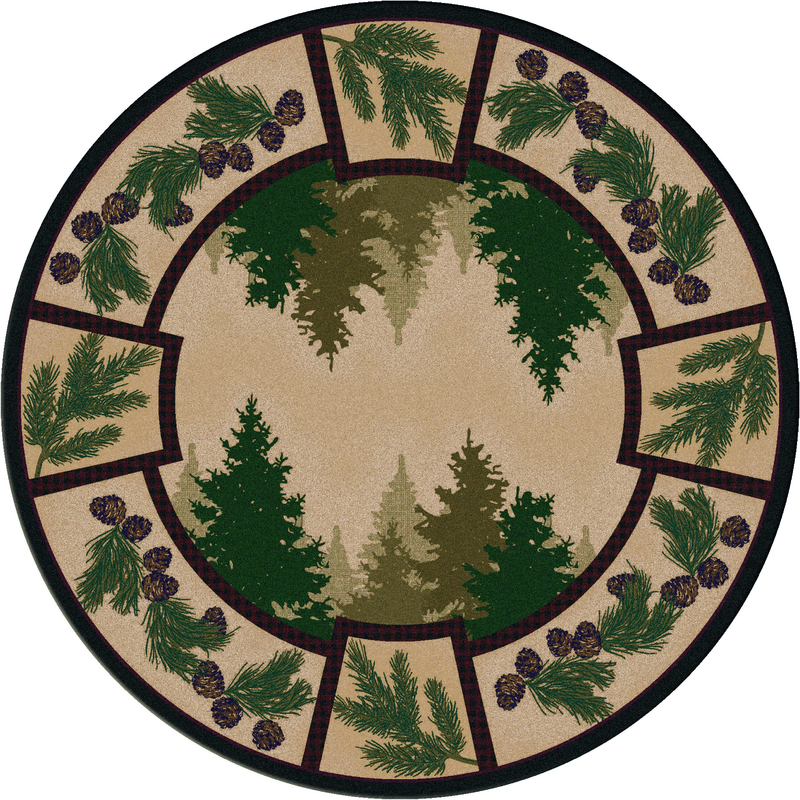 Commercial grade tested. Cleans easily with warm water. Item: FRUAD093MA Price from: $89 ea.